In a previously post I wrote about how we can retrieve data from a SQL Server Compact Edition (SSCE) database with ADO and Excel. Here I will discuss how we actually can create a database with VBA in Excel. In a coming post I will show how it can be done in VSTO which will also show us the differences between VBA and .NET. To create the database in code we need to use the Microsoft ADOX library which was explicit designed to work with the Microsoft Jet OLE DB Provider. When we use it with other providers not all methods and not all properties may be available. This is indeed true when using the Microsoft SQL Server Compact 3.5 provider. The Excel Template file contains code to select location of the database that will be created, code to create the database and code to clear the table from all data. The most interested code is the one that actually creates the database. "Please correct it and try again." "values in the table and try again." Const CstExtension As String = ".sdf"
"You cannot have two fields with an identical name in the table." "At least one item lacks a field name." Const CstPK As String = "TRUE"
"At least one item lacks a table name." "At least one cell is empty in the DataType and DataSize fields." 'Check that it exist a path and a name for the database. 'Grab the last used row. 'If no table exist than exit sub. 'If one or more items lack table name then exit sub. 'If one or more fields lack field name then exit sub. 'Create a unique list of table names. 'If it exist two or more fields with the same name in one table. 'If it exist two or more tables with the same name. 'created and added to the database. And the related rows will be added to the created table. "folder " & stPath & "!" 'OK, time to send the data to the function that actually will create the database. Const CstErrorMsg = "The following error has occured:"
'In case we have an already existing database. 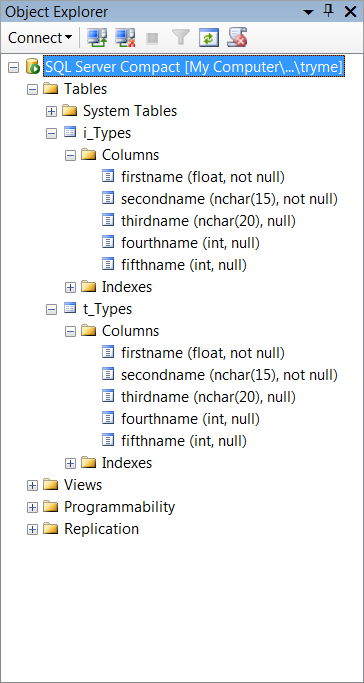 'Here we create the tables and append the columns to them. 'We cannot set this attribute for all data types but for most of them. 'For some unknown reason I was not able to use the names of the attributes. 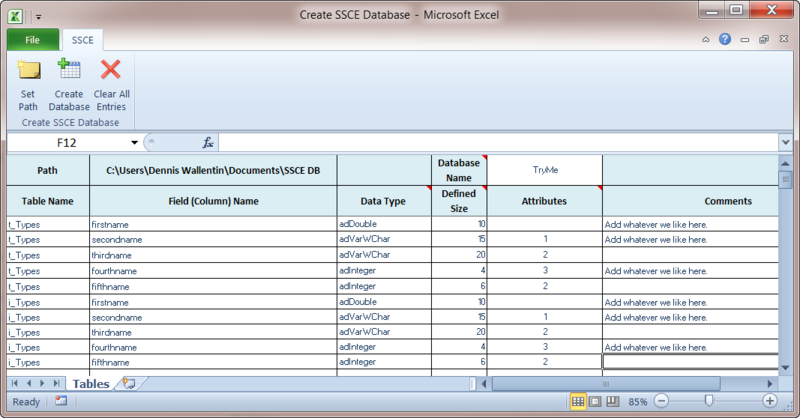 'Add the created table with its columns to the database. That’s all! Now we can populate the SSCE database with data. Let me know if You think that the code can be improved. The attached template file is not protected in any ways except the sheet protection is activated but with no password. Office 2010 PIA Redistributable available for download! I know that some developers have been waiting to get access to Office 2010 PIA Restributable. Although we can create our own IA some developers prefer to use the officially PIA from Microsoft. Today when I checked it up I was pleasant surprise to find out that the PIA package is now available for download.